Allan Neve’s play is an exploration of a father-daughter life over the decades. 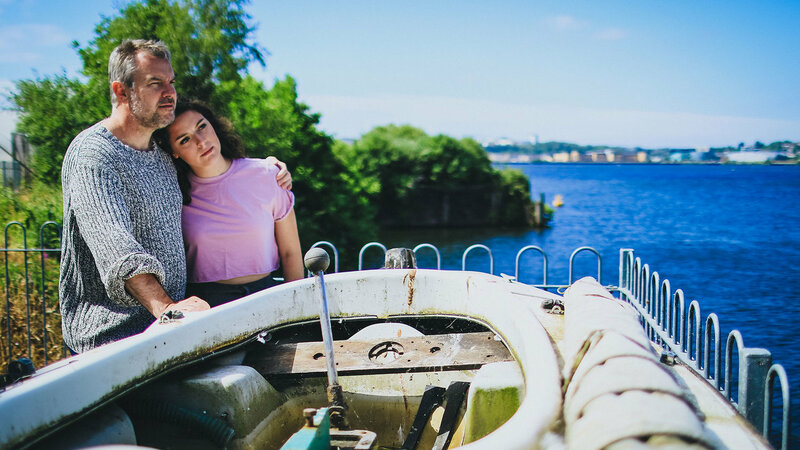 Starting when daughter Lucy (Georgia Theodoulou) comes home to look after her father Charlie (Keiron Self), a series of intertwined monologues tell their story of past and present. What begins with Lucy’s struggling with a return home, and the weight of responsibility of caring for a parent, unravels into a story of family, loss and the complexities of human nature. The story unfolds in a series of monologues, from Lucy and her father, narrating the situation now, and as the play goes on, from their family history. As Lucy details her feelings, actions now in light of the past, her Dad, we assume in the grips of his illness, is reliving the past instead. These parallel lines of story that only occasionally cross, allows Neve to weave the picture of their life together. When Lucy then reflects on their life past and present at the close, it’s a fitting sense of closure to the versions of their history they’ve been telling. Both performers demonstrate a real depth of understanding to their characters. 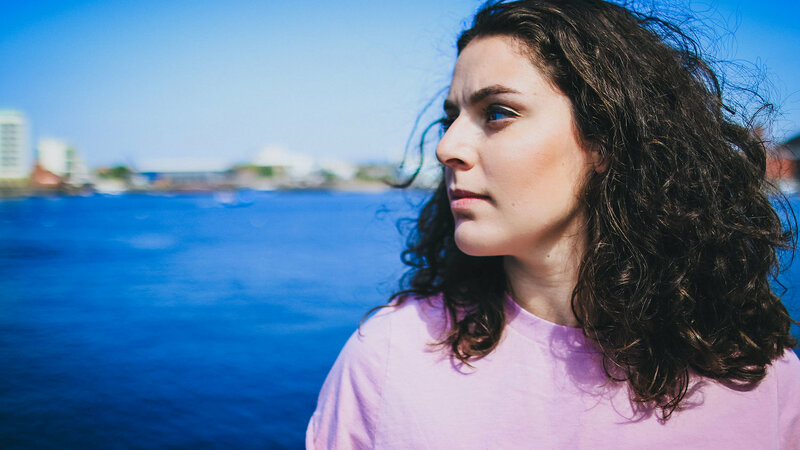 Theodoulou runs a spectrum of the young woman frustrated by life, and making mistakes while figuring it out, to one deeply affected by her childhood. She has a great humour in her delivery, proving that even the most emotive of subjects can be delivered with a wry and honest humour. Self also has a wit to his gruff character. And while he could be in both parts a character to pity and later be angry at, in fact he pulls you on side from the start. His illness, his struggles become those which could- and do- happen to anyone. And in his final monologue the love for his daughter is raw and honest. While Theodoulu delivers the sadness of the ending with an honesty and clarity that doesn’t give in to easy expectations of performing grief. Both actors, in a tough two hander, keep their characters intelligent and engaged throughout- and in so doing pull the audience to a similar state of mind. Treating the writing with that respect, that intellectual engagement makes the emotional payoff all the more resonant. The monologues are a powerful tool and give both insight into the lives and minds of the characters, without giving too much away. Neve is skilled at delivering just enough information at the right moment but leaving enough up to the audience to interpret. What the monologues do leave us wanting somewhat is the connection between the characters. 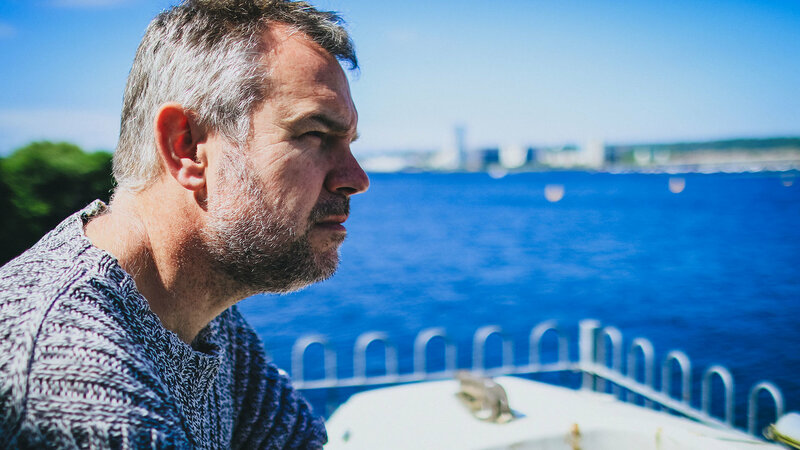 There are fleeting moments pulled through in Matt Holmquist’s direction- the moment Lucy takes the fishing rope from her father’s hands is simple yet heart wrenching- but the play felt like it needed a little something more between them. Holmquist directs the play with skill- we do feel that connection even when they never speak directly to each other (aside from one final heart-breaking moment). And he has an eye for the visual as well as the emotional. Even with only two actors on stage, he creates visuals that interpret the text as much through the silent character as the one delivering the next instalment of the story. And the final image of the play speaks as strongly as any of the words. The setting elevates this play to another level. Performed in ‘World of Boats’ a museum to, well boats, that jets out into the Bay. April Dalton has, with simple rustic set design created an evocative space for the play. Surrounding the audience with boats, the rustic nautical look of the building- and a walkway into the performance space filled with boats, sets the tone. It might be Cardiff outside, but it doesn’t take much imagination to feel like you are indeed sitting in that Cornish fishing village. The backdrop to the performance is a panoramic view of the Bay, complete with boats sailing by at regular intervals. As the sun sets and darkness descends, keeping pace it seems with the darkening of the story. It also means the mood of the piece is influenced by the changing weather each night- on a dark and gloomy night, the backdrop would set the piece off on an entirely different note. The brilliant sunshine we began with fuelled an almost deeper melancholy as the story unravelled. A Recipe for Sloe Gin is a beautifully written piece of drama. One that draws out the complexities of family relationships of both growing up and aging in the same story. There are questions about home, about a sense of place and all the questions that go with that, alongside a raw anecdote of loss and grief. 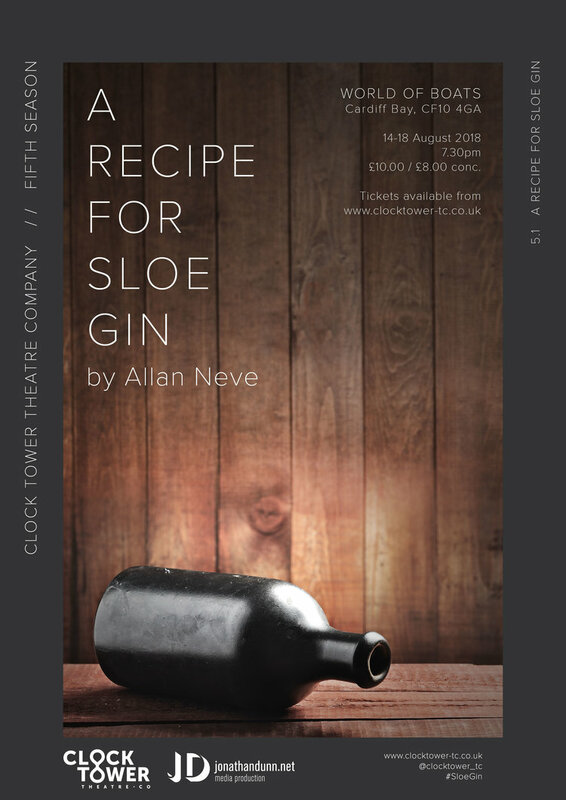 Directed with sensitivity but also vision, Clocktower as a company lay their ambition out with this piece- both in their choice of new writing and their execution.